I've been trying to keep busy doing things. It makes me happy and gives me a better lookout on life! I'm so fortunate that I can just take a few steps to my craft room and work when I'm able. I'm not sleeping well so it's such a blessing to be able to go to my craft room and create late at night when I can't sleep. I love painting on little canvases and this is a little piece I'm working on right now. I've been working on this for probably 6 weeks but I only work on it when I feel inspired or I know exactly what the colors should be. I'm really happy with it so far and having so much fun with it! I have the "Believe" penciled in and will do that last when I'm sure of it's placement. 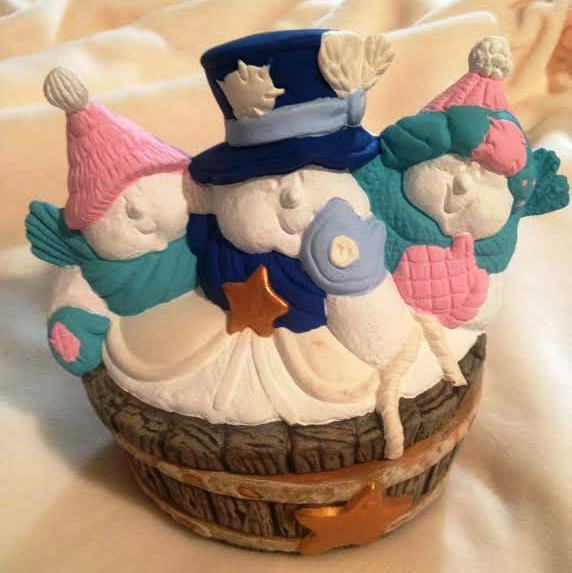 I'm also working on my ceramics for Christmas. 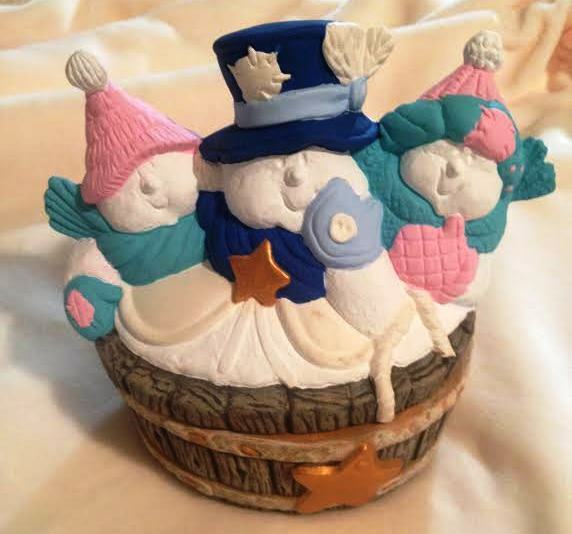 I've had this little tub of snowmen for awhile and wasn't sure what colors I wanted. I used to paint with colors I thought others would like. I've completely stopped that and paint to please myself. I'm really happy with my choice! They are happy colors! When I first started painting, for some reason I thought they had coats on and painted them like they did. Then I realized that I was painting their snowy arms and backs! lol So, out came the white paint to repair what I flubbed. Thank goodness, mistakes like that are easily fixed. I'm having such fun with this piece! I hope you're finding time to be creative, too, and spending time doing what you enjoy! 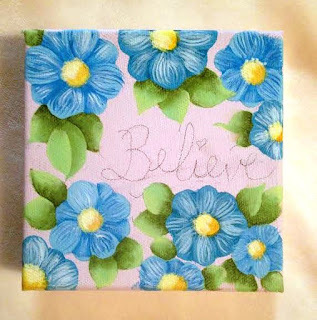 Sweet painting Julie! I have not been able to stitch yet today, but have shopped with our precious daughter, so that is good! Julie, it's so great to see your WIPs. They are simply lovely. It warms my heart to read how happy you feel when you're inspired and in your craft room. I look forward to seeing your creations.